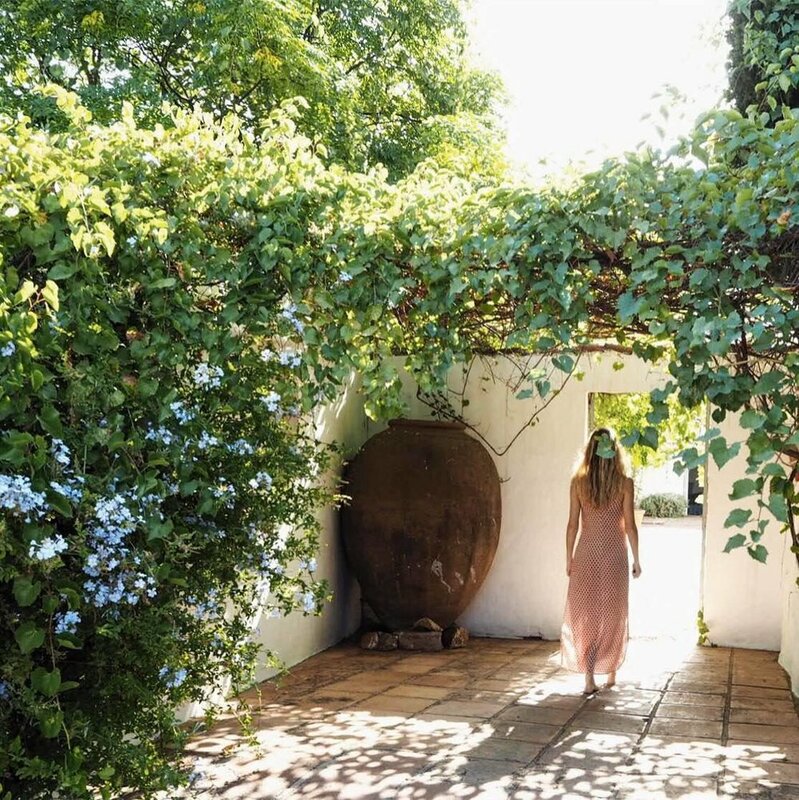 Take a deep dive into nature and your practice and dedicate the time to emerge refreshed, empowered and connected at the beautiful Trasierra, perched among the wild hills of Cazalla De La Sierra, Southern Spain. 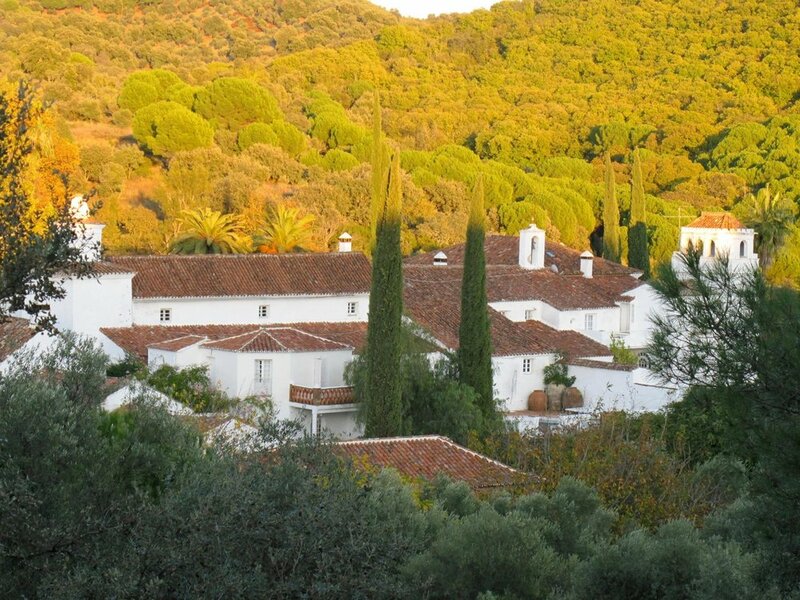 Amber has been running yoga and hill walking retreats at Trasierra for almost a decade. Her teaching style summons up the intelligence of the student so that the practice becomes truly integrated. This is our second retreat collaborating together and it is sure to be just as wonderful as the last. Connecting neurological pathways in the physical body means that each movement we make provides a pathway to greater understanding of the self and the way we operate. Deep shifts are given space to occur and the practice becomes truly transformative. We will spend lots of time outdoors on walks in the surrounding hills. Getting fitter and stronger this will also be an opportunity to reintegrate into the natural world and feel connected to the Earth as a source of strength. We will walk and explore and use art, craft, breath-work and meditations as ways to move beyond the mental space and enter into a creative and connected realm, shaking off the burdens and effects of our mechanised, systemised fast-past world. The days will end with peaceful chanting, gentle movement, pranayama and meditation led by Christabel as a way to reconnect with the heart while becoming aware of our innate power and ability to re-wild, to un-peel the layers that prevent us from connecting to our most wild, natural and thriving selves! Each day you will also have the opportunity to relax in the beautiful house and garden or lounge by the pool, paint, draw and read, or go on walks in the surrounding, magical hills and forests. All inclusive prices from £850 depending on which room you choose. To reserve a place and choose your room please contact us. We will then ask you to pay a £200 deposit before paying the full price by mid April. Christabel is a yoga teacher, activist and the co-founder of the environmental and holistic wellbeing platform Advaya Initiative. Currently completing a 4 year advanced teacher training with Colin Dunsmuir in the tradition of Professor T. Krishnamacharya & T. K. V. Desikachar, Christabel is working towards becoming a Yoga Therapist and is deepening her knowledge of how the many tools of yoga may be applied to all kinds of individuals, meeting them where they are at and developing individual practices so they may evolve as efficiently as possible and overcome whatever they feel afflicted by. Teaching many weekly 1-2-1s as well as group classes in West London, Christabel is fascinated by the concept of peeling back the conditioned layers that prevent individuals acting from their inherent peace and power and thriving as they naturally should. Uniting breath with movement whilst honing their awareness, students are encouraged to develop compassion for themselves alongside acknowledging their power to act, replacing limiting or unhealthy patterns of action, thought and attitude with positive ones that nourish their relationship with themselves and the world around them. Christabel teaches that yoga is fundamentally a tool for freedom. Practicing yoga as a teenager helped liberate Christabel from years of chronic anxiety and the constructed narratives that limited her ability to fulfil her potential and really enjoy life. This transformation led her make the resolution to learn how she could apply these tools to others. During Christabel’s History BA at Manchester she went back to India to do her first teacher training in Hatha Yoga. After graduating Christabel went on to do a second training in Viniyoga and Vinyasa Krama before beginning her Masters at SOAS, University of London, in The Traditions Of Yoga & Meditation.